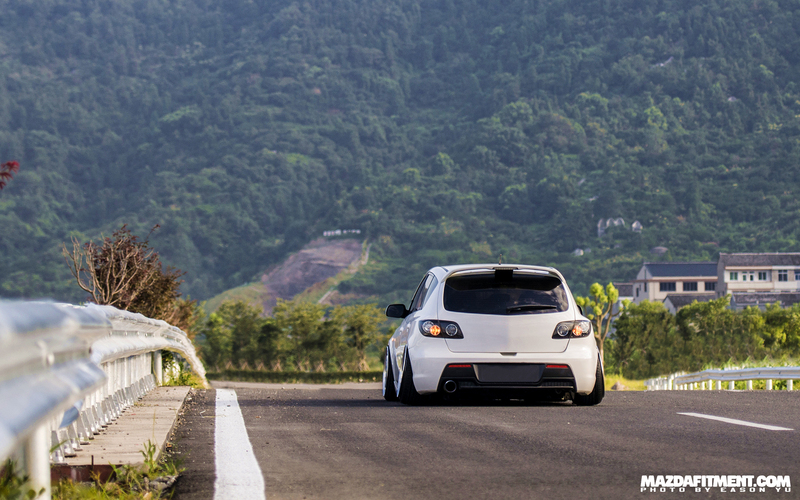 Don’t always believe what you see is the theme with Eason Yu (虞浙闽）’s 2008 Crystal White Pearl Mazda 3 from China. 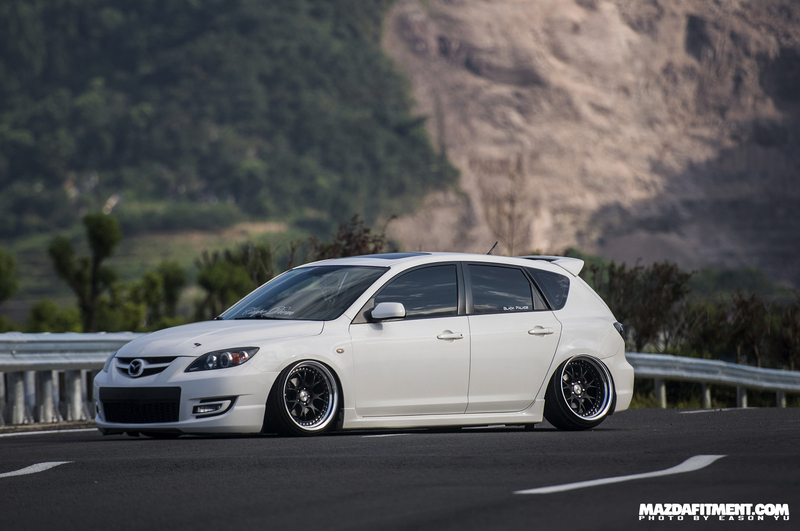 You think you are looking at a Mazdaspeed version, but its not simple that. 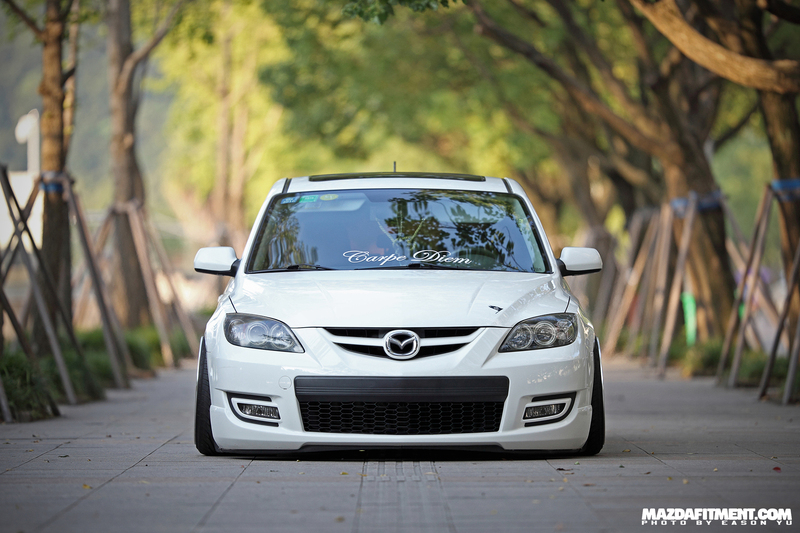 Eason decided to convert the exterior of his regular MZ3 to the MS3 exterior. 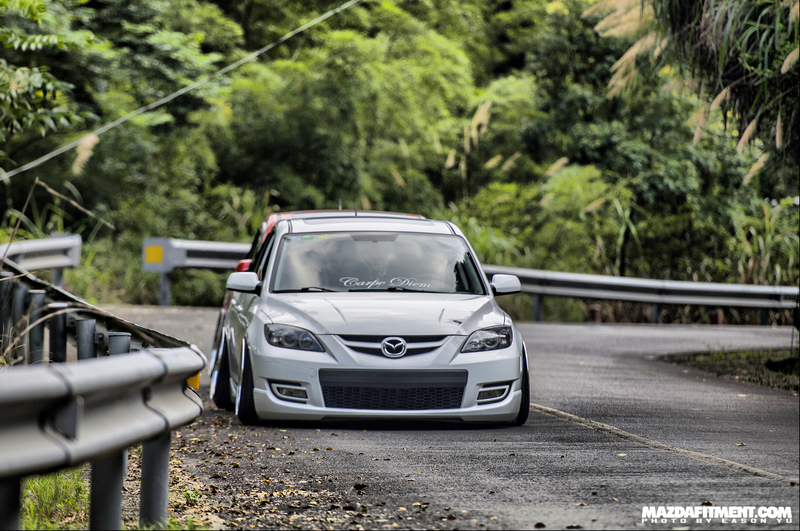 Basically this is done with the hood, front bumper, rear bumper, and rear wing. But, why did Eason go with this choice? 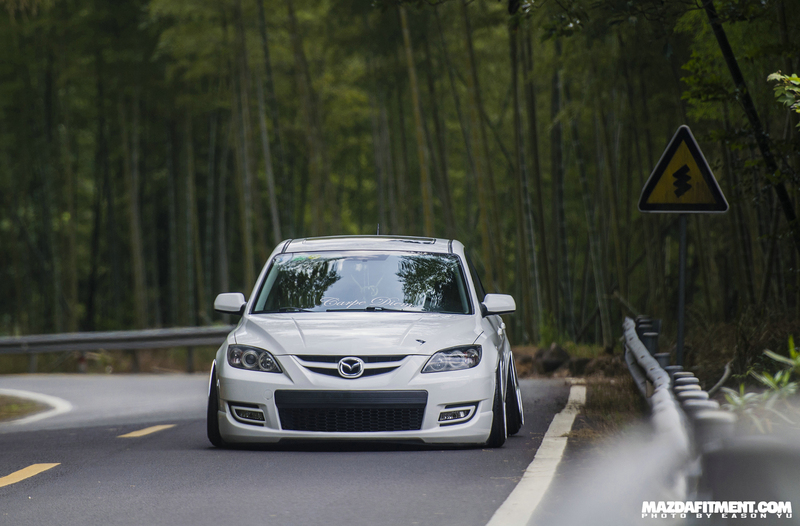 Well, in the beginning of sales of this generation in China it was unavailable to be able to buy a Mazdaspeed 3 in China. 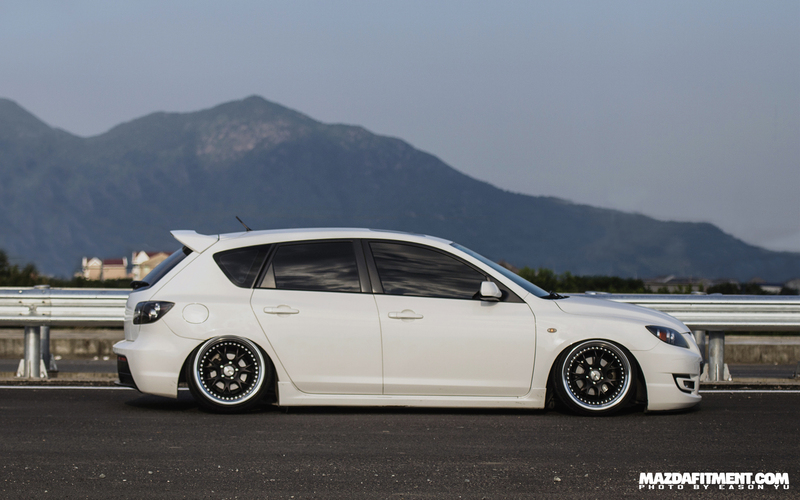 Eason equipped the car with a full AirRex air ride system throughout. 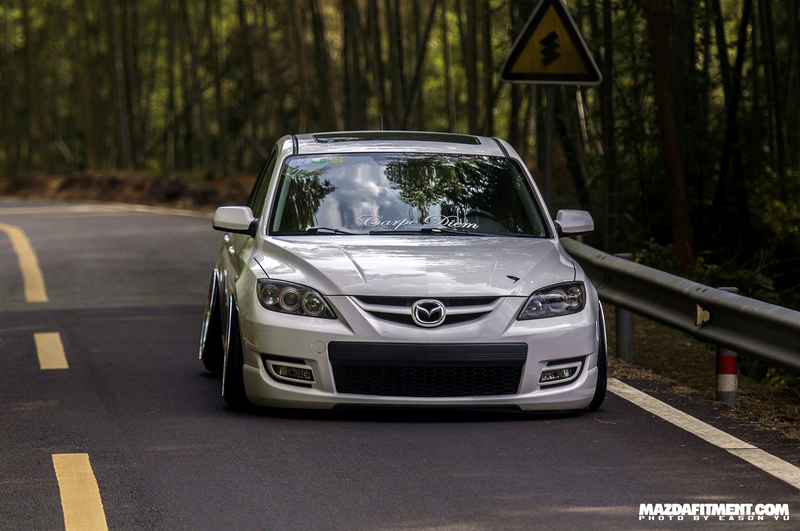 Some camber and some poke kind of shot. 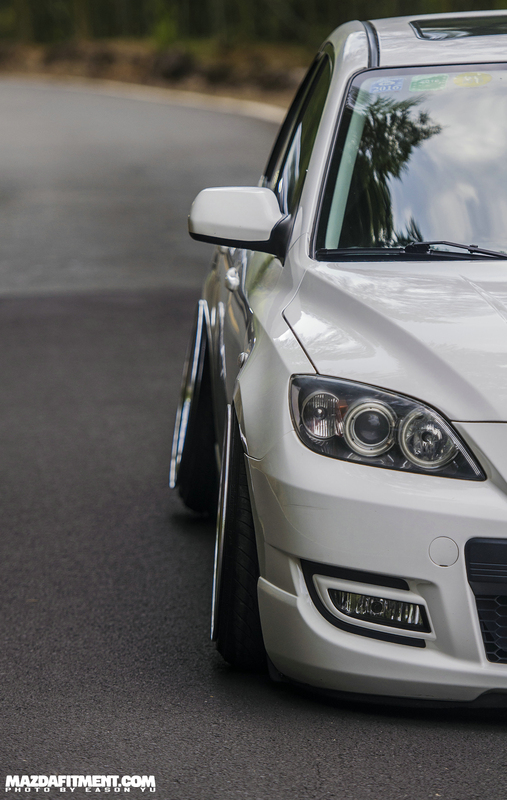 Eason decided to go with SSR Professor MS3 wheels in 18×9.5 +10 with Nankang NS2 215/35/18 in the front and 18×10.5 + 5 with Nankang NS20 225/35/18 in the rear.